I am riding a Trek 520 touring bike across the country. This bike has plenty of room for panniers (saddle bags), which allow me to stay filled up with supplies. I chose this bike by doing research about the type of bike I should purchase for the trip. It was agreed amongst all the forums I visited that touring was the way to go. I ended up going to Competitve Edge Ski & Bike in Hadley, MA, where they gave me good prices on everything I purchased. 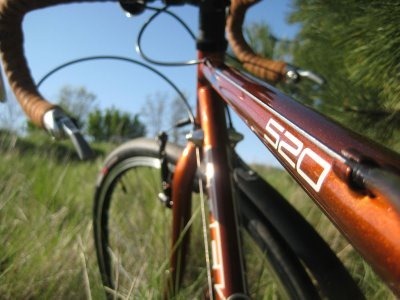 I tried the Trek 520 there and absolutely loved it.